Quite amazing. At first I thought it was a denizen of Burning Man. Wow, the idea of building this thing is stupifying. First off it would have to be mounted on a truck, cause the damned thing would NEVER fly. For starters the power supply defies the known laws of physics. Yay! Oh, and it would weigh several metric tons. I am obliged to state that weight is not the sole barrier to powered flight, and that particular issue has been overcome many times. Must I point out that Boeing 747s weigh several hundred tons? And the Space Shuttle even more? Ah, but they obey the laws of physics and stuff. This thing would need soooo much thrust for its weight. Plus as you can see it has no aerodynamics. Basically it was designed to be a way for me to bring an interestings aspect of my story to life. Once I get done writing the thing I'll post it here if I can. That should explain things a bit. Essentially the problem is the fact that the power supply needed to heat the boilers on this thing can not exist. At least not the way I designed it. What's the polygon count of this model? Really nice. Very good texture work. On the harpoon particularly. I don't have the numbers to hand, but I do recall that the model took almost 1.6 gig to load up. And that was before rendering. I had to take a few shortcuts to get the thing to render. I'm glad you like the harpoon. It was the last thing I made/textured for it. I guess all that practice paid off. Wow! Some very cool stuff in here! 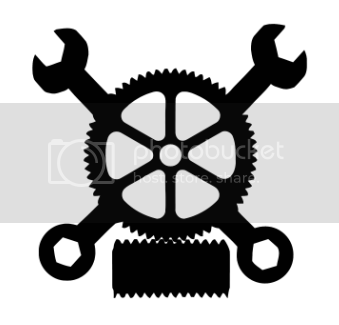 I have been playing lately with an idea for a t-shirt design or possibly more of a patch. I took my inspiration from some of the cool unit patches the various divisions of the armed services used to have. and a little dash of soviet propaganda posters. still needs a touch of clean up. oooh, that logo's great. Lots of nice design in there. I wish I'd thought of it. 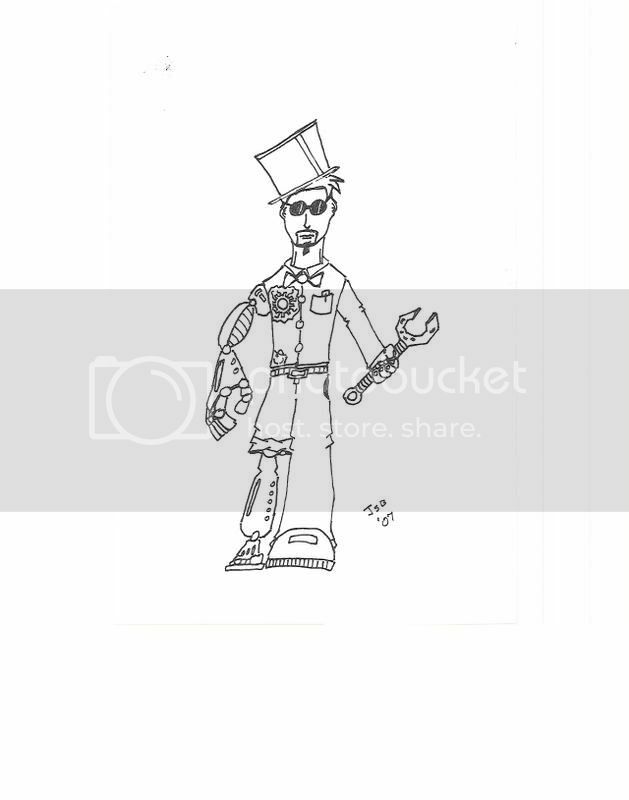 Just a quickie I did of a steam era Iron Man/Tony Stark for my daily sketchbook. Thought I would share here too. Looks cool. I like the way his orignal foot is smaller than his new, improved foot. Miniaturisation! just something i whiped up. thought this would be the ideal place to share this. Cool. Very Cthulu meets The Gambler. Only somewhat Steamy... And before anyone says anything, I know her skirt is scandalously short. And apologies to the lovers of Air Kraken, but I had to come up with my own air-traversing adversary to zeppelins at D*C.
Is that a flying plesiosaur? Cool. Yes, it most definitely is. His name is Frederick. 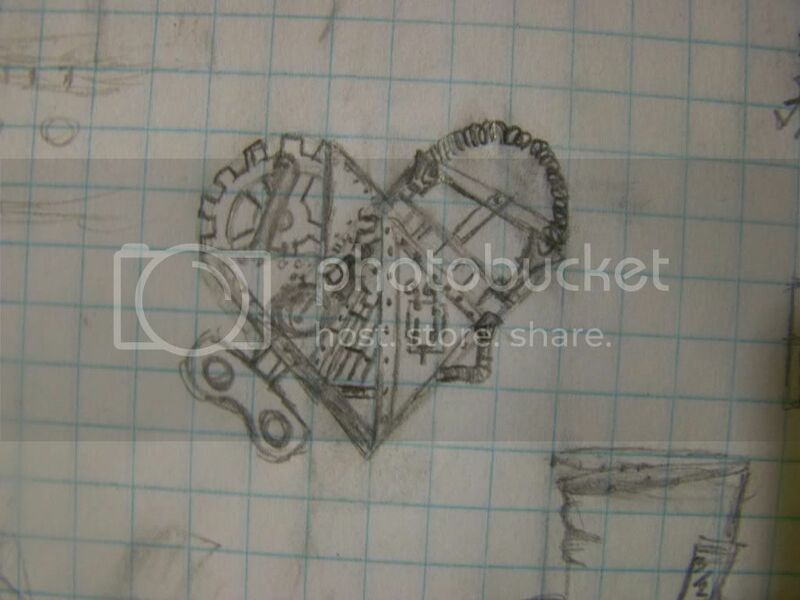 I remember someone asking about a clockwork heart, and whilst bored at work I decided to draw one. Curiosity killed the cat, satisfaction brought him back, then he ate my brain. Give me a big enough lever and I'll beat the problem into submission. 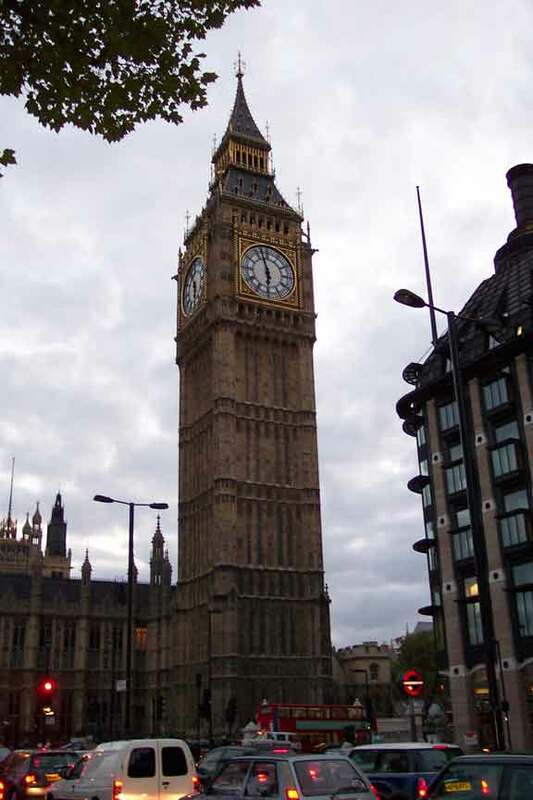 "After the regretable incident two summers ago (when Prince Kareem of Râ's al-Khaymah 'accidently' flew his personal gyrocopter into the Houses of Parliament) it was Professor Wutherford, then of the Royal Horological Institute, who was selected to effect repairs to the clock tower. It's unveiling last month was met with not a small amount of surprise and confusion by the Great British Public. The Professor has since refused all requests for an interview but one our intrepid reporters managed to catch up with him as he left his office yesterday morning. 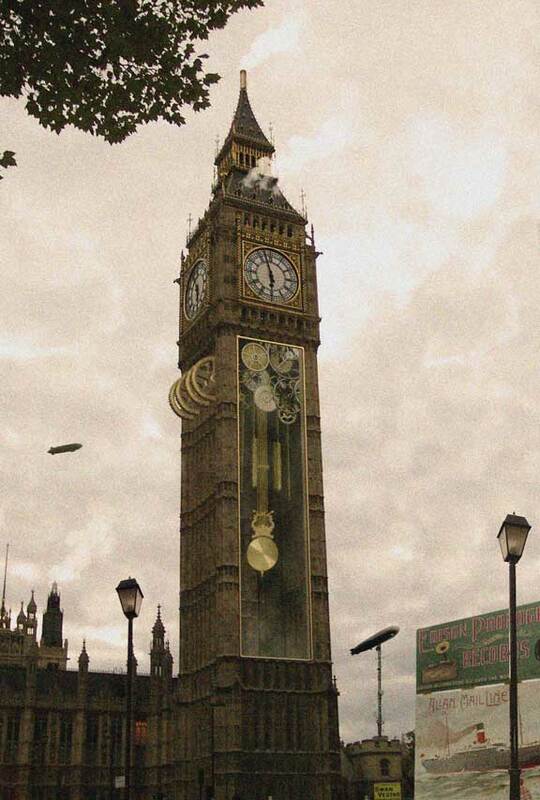 On being asked why the "Big Ben" tower looked so different the Professor enigmatically replied "Different? My dear sir, if you think it looks different now, wait until you see the cuckoo!" before slipping into a waiting OmniCarriage and departing." Excerpt from an article in The London & Empire Herald, 21st of October. Unfortunately, my scanner doesn't work anymore. 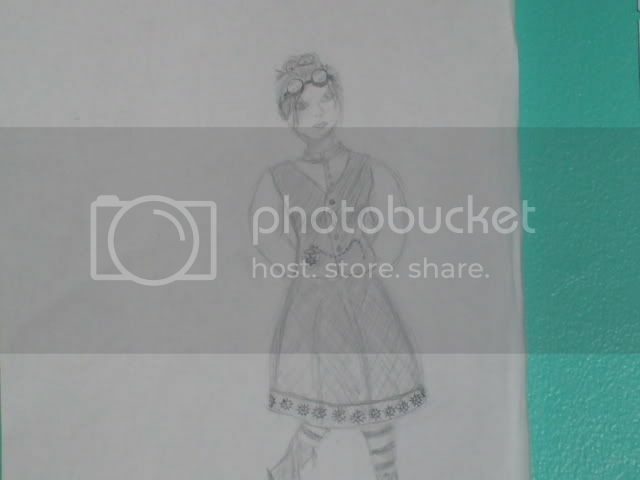 But I wanted to post something and this is my most steam punk-esque drawing. I apologize for the blurry-ness. "Steam punk is like a top hat: You can watch it from different angles and enjoy different things about it, and there are no single hat that fits everyones head." Danger! Danger! 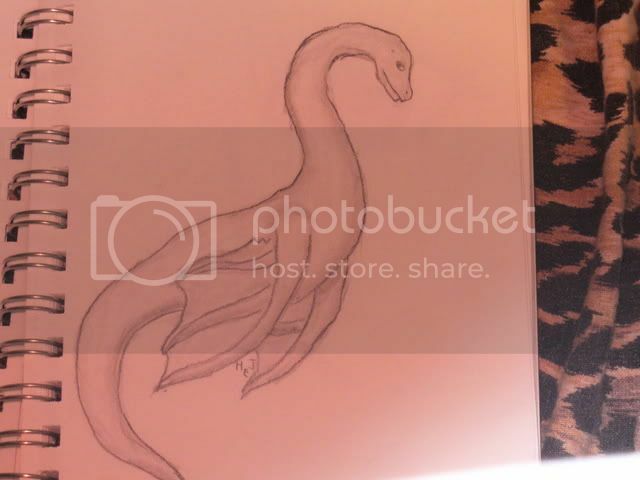 Wonderful drawing, Will Robinson! Excellent work though, Brasswood, if only it were in the correct format for my PSP I would use it as my background. 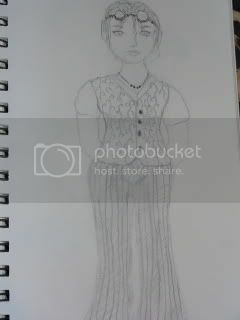 Give me the proportions, and I'll fix it for you Send me a message.